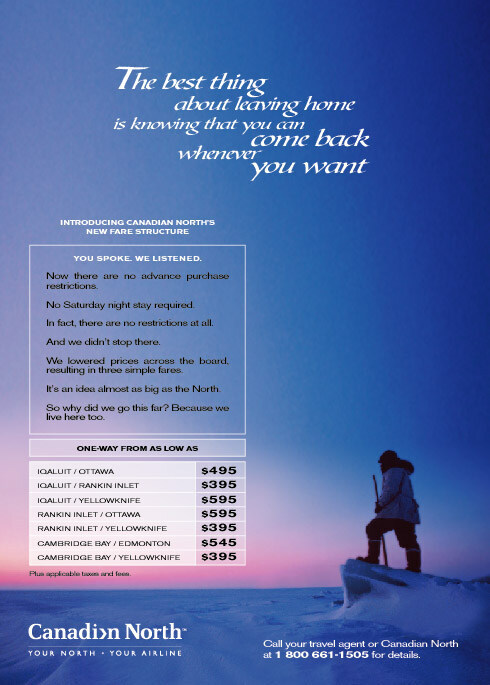 Magazine ad for Canadian North Airlines. Canadian North Airlines is a small carrier. They focus on routes to some of the coldest (and beautiful) places in North America. This is a print ad that I worked on with writer Simon Davies.